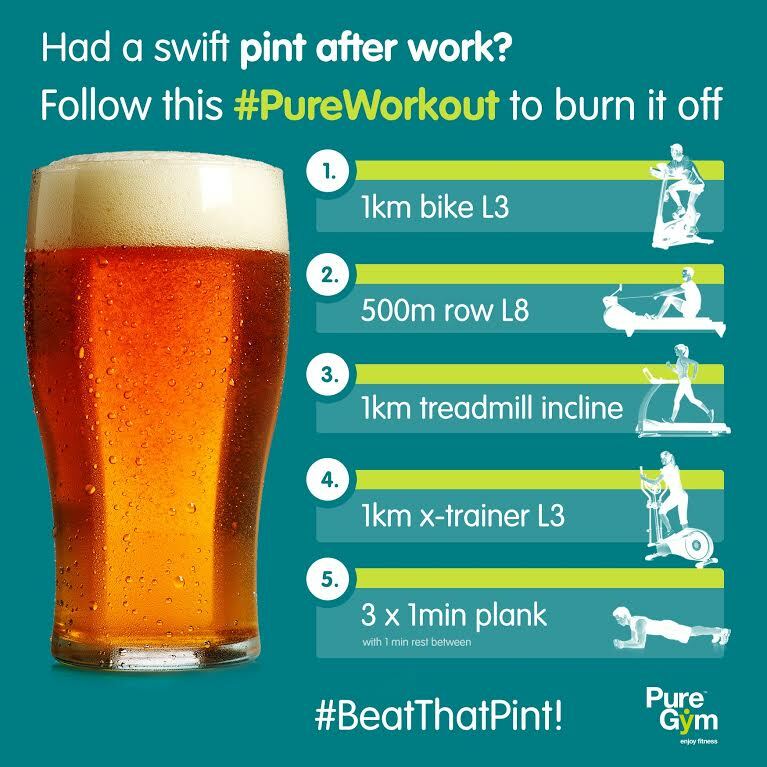 PureGym has created a series of shareable 'emergency workout cards' to help gym members work off indulgences including chocolate cake and beer. PureGym, which has more than 70 clubs across the UK and is open 24 hours a day, has built the promotion around its wider 24/7 #ReadyWhenYouAre campaign. The emergency workout cards provide information on how to burn off particular foods and drinks, such as a 3km treadmill run as part of a workout to burn off a cheeseburger. 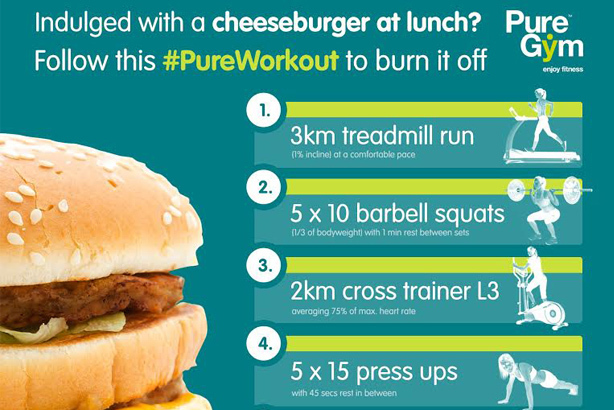 The cards were designed by social media agency Umpf and have been optimised for sharing on PureGym’s Facebook and Twitter channels, with hashtags such as #PureWorkout and #BurnThatBurger. PureGym’s social media manager Sam Weston said: "At PureGym we’re determined to provide an added-value experience for our members, while generating creative, original and shareable content. Following its initial success, we’ll now be opening up the series to suggestions from our community so our fans and followers can tell us what they want to see next."